I am seriously on a polka dot kick. I'm a little obsessed with mastering the art of the perfect dot. I want to be the World Freehand Circle Drawing Champion of the nail dot! 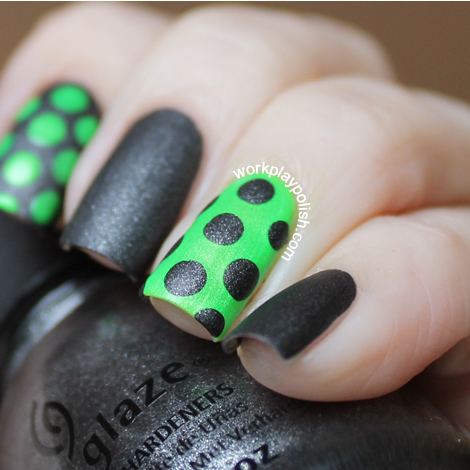 Today's mani was inspired by a neon mani by Camille (her blog is uh-mazing even if I can't understand a word of it). I changed it up a little by making big dots with two accent fingers instead of one. I just love how this turned out. I polished two coats of China Glaze Stone Cold (from the Hunger Games Collection). It's a matte shimmer. Awesome. Reminds me of blacktop. 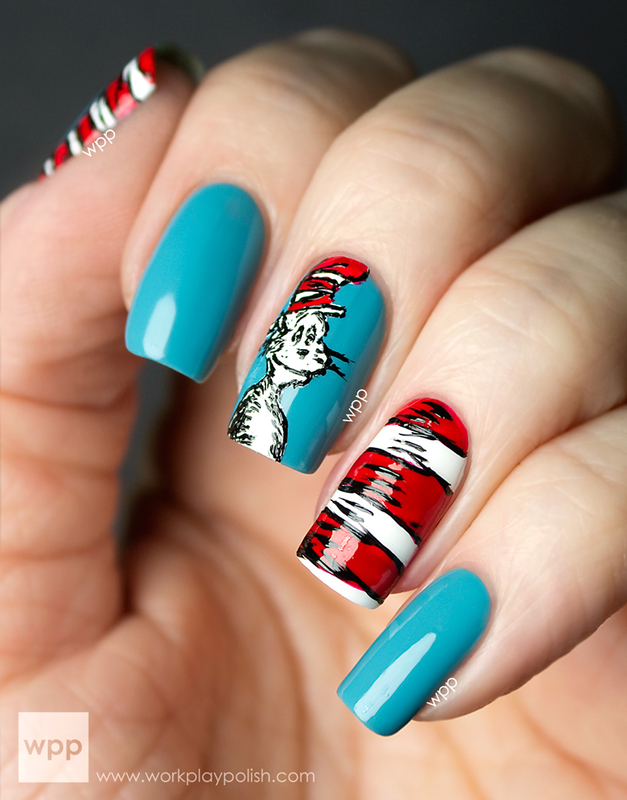 The ring finger is two coats of I'm with the Lifeguard (from the Summer Neons Collection). 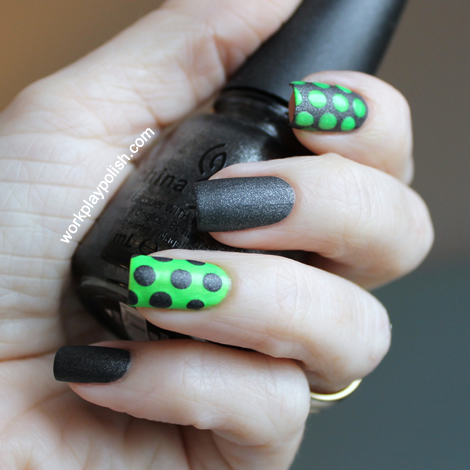 Then I used my favorite MacGyver nail art tool, a sewing pin stuck in a pencil eraser, to dot the large circles on my index and ring fingers. No topcoat. 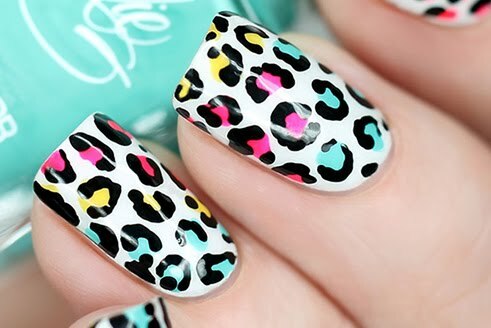 I'd like to try this with Splish Splash (blue) and Beach Cruise-r (pink) also from the Summer Neons Collection. Any other ideas?